Genre/Influences: Gothic, goth-rock. 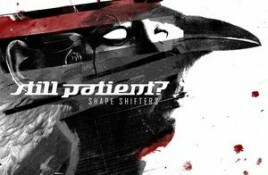 Background/Info: Three years after their last and successful album “Shape Shifters”, the German Still Patient? band is back on track unleashing a.
Genre/Influences: Gothic, goth-rock. Content: Still Patient? were one of the biggest promising bands from the German gothic scene during the 90s. They for sure got.